After a long delay because of our move we finally have our first interview from A-Kon 27! 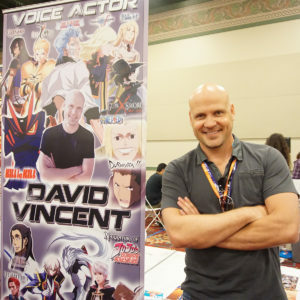 We sit down with voice actor David Vincent again after 4 years and catch up on he’s been up to in all that time. Hint: It’s a lot! We’re back for a catch up episode as we try to catch up on things since real life has been getting in the way. We’re still not there, but we’re on our way! Lots of news from Anime Expo! 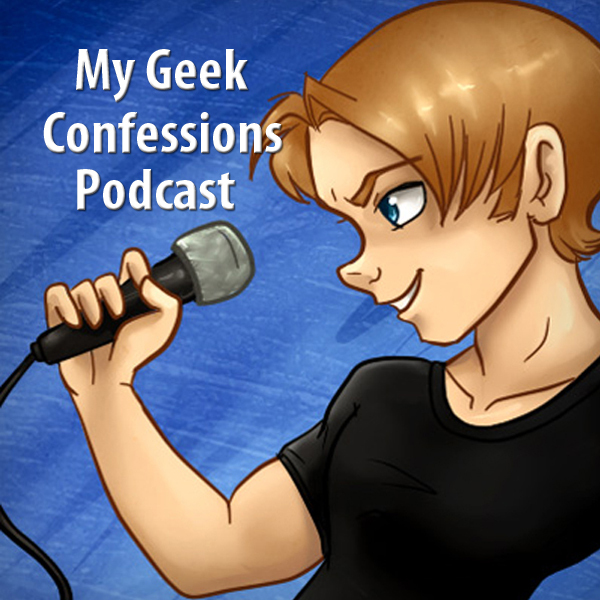 My Geek Confessions #191 – 05/27/2016 – A-Kon 27 Bound! This week Maze Runner 3 is delayed until 2018, the new animated Spider-Man movie will feature Miles Morales, and soon lots of Disney movies will be making their way to Netflix. Steins;Gate 0 is heading to the USA, and Cardcaptor Sakura gets a new anime. There’s lot of trailers to catch up on, cancellations of some of our favorite TV shows, Supergirl moves to the CW, Disney Infinity is canceled, Buckaroo Bonzai may come to TV, and Gundam returns to Toonami. Magic Mike is coming to Vegas, Alden Ehrenreich is Hans Solo, Sharknado goes Star Wars, Tenchi Muyo comes back for a 4th season, and more! Maze Runner shuts down production, and the Flash movie loses a director, Funimation announces some of the cast of My Hero Academia, Cardcaptor Sakura is coming back after 20 years, and Kingdom Hearts announces a symphony world tour! We review Jungle Book and The Empire of Corpses! Plus the Spider-man movie gets a name and Iron Man, AMC suggests a bad idea, the EPIC conclusion to Dub Smash wars, Conan O’Brien makes a K-Pop video, and Skip Beat finishes its cast as it crosses the funding finish line. The new Spider-man movies will allow for crossover with other MCU characters, Edge of Tomorrow has a sequel being developed, and anime invades Wrestlemania 32 here in Dallas in a BIG way. Then in Talk Nerdy to Me, there’s Digimon news both good and bad, Netflix is in talks to make the Death Note movie, and Skip Beat announces another cast member! We review Batman v Superman: Dawn of Justice, plus there’s a ton of sports anime on the horizon, a revival of FLCL, a live action FMA movie on the way, Escaflowne expands its cast, and the Hunter x Hunter dub is coming to Toonami! This week we review The Boy and The Beast, Psycho-Pass: the Movie, and Mini A-Kon 9.There’s a Where’s Waldo movie is in the works, a Ninja Turtles crossover on the horizon, and a new Voltron series is headed to Netflix, and much more.